The price is for one bottle of 30 ml paints. These paints are the finest liquid paints in market. The colour is more durable than Marie’s and Sakura’s paints. Product of Jiang SiXu Tang. 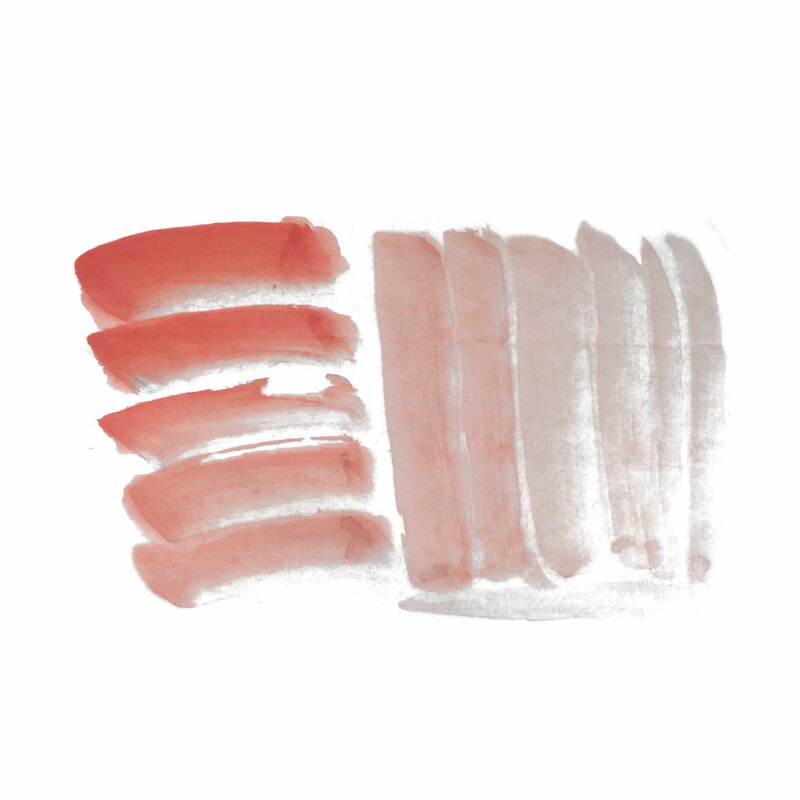 Like all the Jiang SiXu Tang colours, these paints are made with minerals and plants. 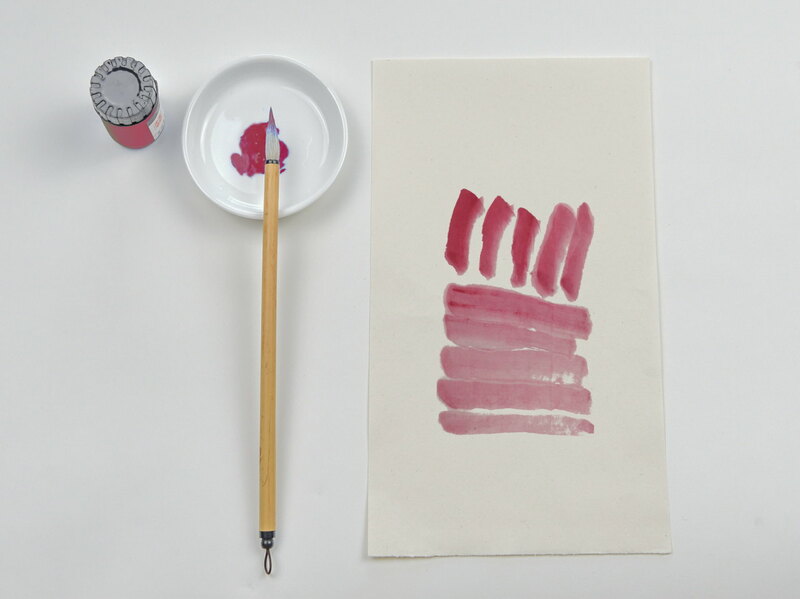 However, certain percentage of industrial colours are used in production for these paints. 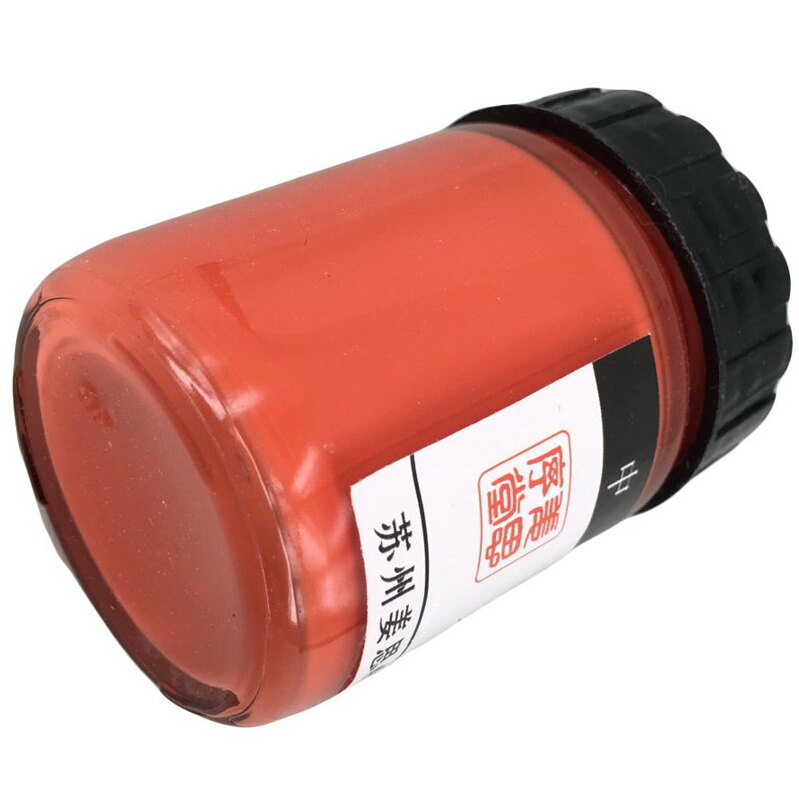 Packaging: 5.5 * 3.5 * 3.5 cm, 30 ml paints per glass bottle. The packaging is more practical than both Marie’s and Sakura’s tube because glass bottle is more durable than the tubes. Usage: the paint is ready for use directly. For different degrees of colours, you can control it by adding certain amount of clean water. Special Feature: product of Jiang SiXu Tang; certain industrial chemicals are used in production. 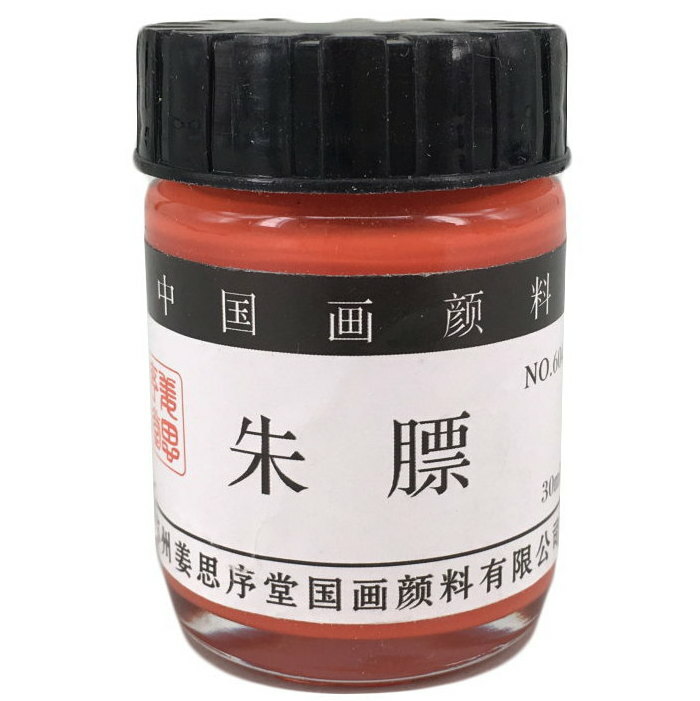 Jiang SiXu Tang 姜思序堂 Jiang SiXu Workshop is the most prestigious natural mineral colour workshop in China, and a China “Time-Honoured Brand” providing the highest grade Chinese natural mineral colours for professionals for over 350 years. Inorganic Mercury: When eaten in large amounts, some inorganic mercury compounds can be very irritating and corrosive to the digestive system. If repeatedly eaten or applied to the skin over long period of time, some inorganic mercury compounds can cause effects similar to what is seen with long term mercury vapor exposure, including neurological disturbances, memory problems, skin rash, and kidney abnormalities. There is uncertainty about how poisonous cinnabar is and about the amount required to produce dangerous effects. Scientists generally recommend that we limit our exposure to all mercury compounds, however, including inorganic mercury. People using cinnabar are warned not to inhale cinnabar dust and to be very careful when breaking the mineral in case dust is created. The mineral mustn’t be ingested or licked. In addition, it mustn’t be heated, which might trigger mercury vapor release. Opinions are divided about whether cinnabar is safe to touch. Mercury (ll) sulfide can be absorbed through the skin, but how much is actually absorbed from a lump of cinnabar mineral is unknown. Since there are unanswered questions about the mineral’s safety, it’s best to wear gloves when handling it. My package arrived fast and needly packed. The product looks very good. I am very happy with it. Thank you very much! The Jiang SiXu colours are very impressive and much, much better than the Marie’s I have used in the past. I will be buying more of these in the future. These are thick intense colors that tend to be opaque but can be diluted.This yellow is quite bright and only a little is needed to brighten a picture. Unless doing a large oversized mural , I feel this generous quantity will last through many paintings.I have already used it in several painting and am very pleased with the results.I ordered two colors but plan to order other colors soon. Marie’s paints are good quality for their price. I was glad I could find it on this site. It came perfectly packaged along with some other items I ordered. Thank you! I am very happy with my purchase thank you kindly for the sample paper pack too!